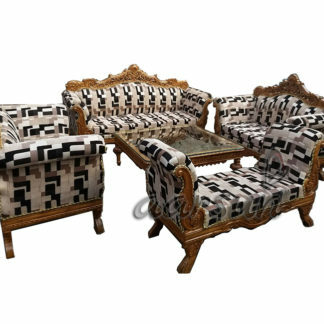 This 7 Seater Stylish Sofa Set (3+2+1+1) is handmade by skilled artisans in premium Teak Wood. 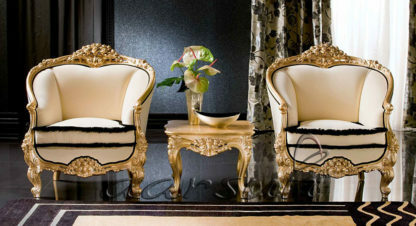 The floral design on the wood-frame and gold finish sets it apart from the present day furniture. 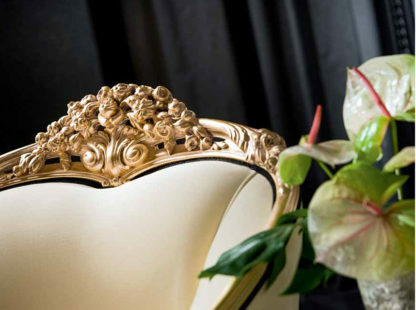 These units are carefully made keeping in mind the style and luxury, every individual craves for, while buying exclusive furniture for home. 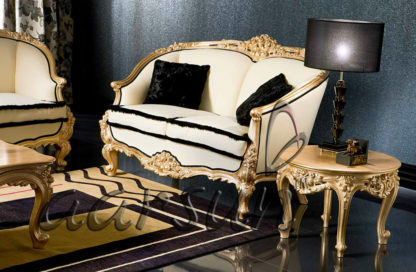 The Royal Sofa Set is luxurious and grand. 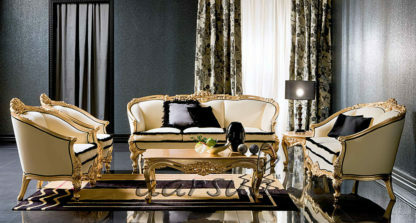 With different fabric options, the unit can be specifically made as per your need thereby making each sofa set unique to your home. 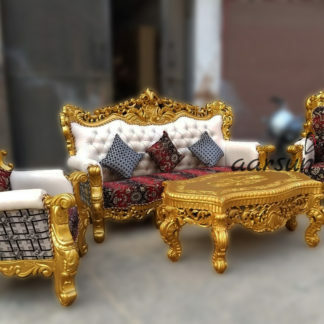 The contemporary design that immediately catch the eye, the charm of wood which never dies; handcrafted with unmatched skill and precision by experienced artisans, this sofa set is a great addition to your home.